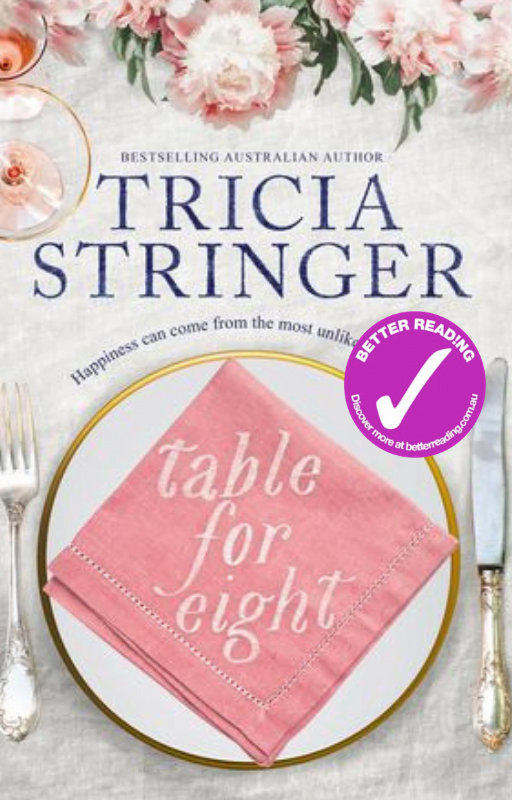 Bestselling author and master storyteller Tricia Stringer’s tackles troubled relationships, second chances and love old and new in this uplifting story of unlikely dining companions thrown together on a glamorous cruise. Readers of Liz Byrski, Monica McInerney and Rachael Johns will love this book. A cruise – no matter how magical – can’t change your life. Can it…? Clever, charming dressmaker Ketty Clift is embarking on her final cruise from Sydney before she must make serious changes in her life. Supported by the ship’s all–powerful maitre d’ Carlos, she has a mission: transform the lives of those who join her at her dining table every evening. Not only can Ketty turn Cinderellas into princesses with her legendary style–eye, but she has a gift for bringing people together. But this trip is different. As the glamour and indulgence of the cruise takes hold, and the ship sails further away from Sydney towards the Pacific Islands, it becomes clear that her fellow travellers – a troubled family, a grieving widower and an angry divorcee determined to wreak revenge on her ex – are going to be harder work than usual. After Tricia Stringer’s fortieth birthday party she still had two things left on her 'to do before forty' list – write a children’s novel and parachute from a plane. She gave up on the parachuting idea but not the writing and has since published several books. Queen of the Road was her first book with Harlequin and she is very excited that it went on to win the RWA Romantic Book of the Year for 2013 as well as be one of the 50 Books You Can’t Put Down in the 2013 Get Reading campaign. A country girl through-and-through, Tricia grew up on a farm on South Australia's, Eyre Peninsula. With a brief stint in the city for secondary education and teacher training she has always lived in rural communities and is currently not too far from the beach in the Copper Coast region of South Australia. Here she shares a rambling old farmhouse with her husband and assorted animals - only some of which are pets! 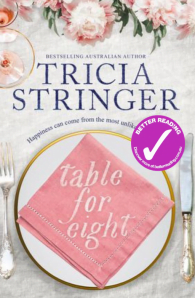 Some people would think that being an IT coordinator, teacher, librarian, wife, mother and grandmother would be enough to fill your days – yet somehow Tricia still finds the time to write. Inspired to create local history stories for the children she taught, Tricia honed her writing skills via courses, classes and lots of practice. While awaiting the publication of those early children's books she began dabbling with an adult short story for a writing competition with a rural theme. The short story became a full length novel and went on to become the first of her rural romances. Tricia likes to create convincing characters in realistic situations. Her novels always have a rural setting and explore themes particular to Australian country life, which of course include romance - where would we be without a little romance in our lives! Her latest book, Riverboat Point, is her sixth rural romance. As for parachuting – she’s done that too. There’s something special about jumping out of a plane high over Queenstown, New Zealand. What a view! its not clear where we should be registering for a preview of the book . But if thus is the place – yes i would like to read and review please.